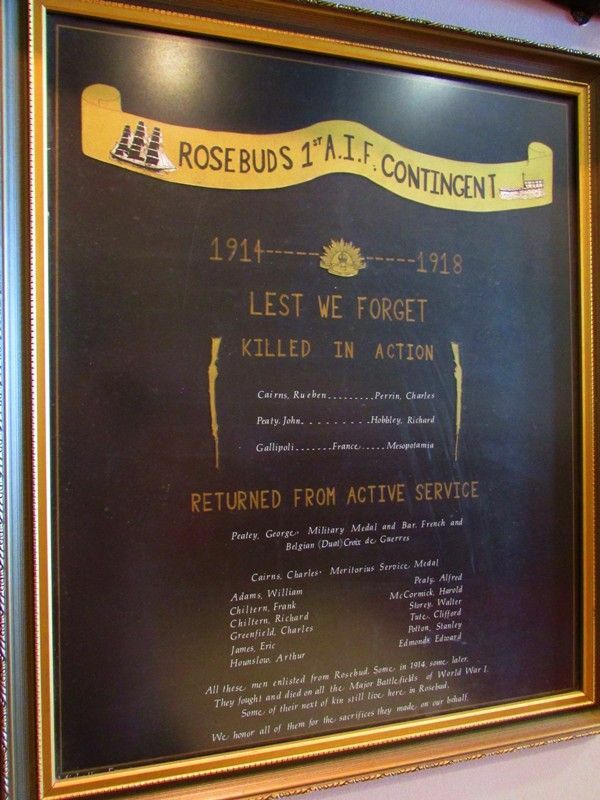 An honour roll commemorates those from Rosebud who served with the first Australian Infantry Force Contingent during World War One. 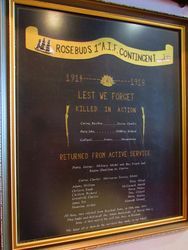 All these men enlisted from Rosebud. Some in 1914, some later. 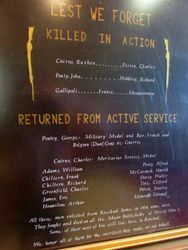 They fought and died on all the Major Battlefields of World War 1. Some of their next of kin still live here in Rosebud. We honor all of them for the sacrifices they made on our behalf.